Bacterial community in activated sludge (AS) is diverse and highly dynamic. 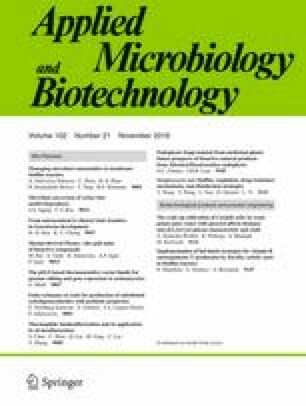 Little is known about the mechanism shaping bacterial community composition and dynamics of AS and no study had quantitatively compared the contribution of abiotic environmental factors and biotic associations to the temporal dynamics of AS microbial communities with significantly different diversity. In this study, two full-scale sewage treatment plants (STPs) with distinct operational parameters and influent composition were sampled biweekly over 1 year to reveal the correlating factors to whole and sub-groups of AS bacterial community diversity and dynamics. The results show that the bacterial communities of the two STPs were entirely different and correlated with the influent composition and operating configurations. Bacterial associations represented by cohesion metrics and the environmental factor temperature were the primary correlated factors to the temporal bacterial community dynamics within each STP. The STP with high diversity and evenness could treat influent with higher suspended solid and a shorter sludge retention time, and was less correlated with environmental factors, implying the importance of diversity for AS system. The online version of this article ( https://doi.org/10.1007/s00253-018-9287-8) contains supplementary material, which is available to authorized users. Xiao-Tao Jiang thanks The University of Hong Kong for its Postgraduate Studentships. FJ, LY, BL, and LPM thank The University of Hong Kong for postdoctoral fellowship. We thank the Drainage Services Department (DSD) of Hong Kong for the help by supplying data on the sewage characteristics and operational parameters. We thank Miss Vicky Fung for her help in sampling and for her experimental help. We thank the computer center of the University of Hong Kong. This study was funded by Innovation and Technology Fund (ITS/304/12) of Hong Kong.